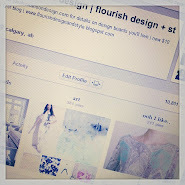 flourish design + style: an [instagram] peek..
K and I were able to sneak away for a three day break to the Mountains with no kiddos, it's been three years since we've had a holiday..
We stayed in Banff, and drove up to Lake Louise to go skating on the lake and to have lunch at The Fairmont Chateau Lake Louise..I was admiring the ceilings..
Back in Banff a stroll around town, and a visit to The Hudsons Bay Company feels so authentically Canadian while in the Rocky Mountains! Loved the window..
and C wanted to take my picture while we stopped to get coffee for the drive home..
new little owls from HM are in the girls rooms..
a stop at Indigo, my favorite little note pads are $1, I stocked up! Congrats on all the features! We've been dying to go to Banff ever since we saw some pics from some friends, so jealous!! I love this post! I can't even imagine how exciting it would be to see my home in a magazine at Indigo- So inspiring & I love all of your new finds! Btw, what kind of plant is that? I have been frequenting your blog this past month and I just have to tell you how much I adore your style. You are so effortlessly chic!! Thanks for the hit of Canadiana this morning! I love your pictorial today! Wow, you have been busy! Glad to see you are having so much fun. Ahhh I have those owls! So cute!